Laurel Sapp, counselor for Family Focus Solutions, discusses how Neediest Cases helped her clients. Chattanooga is full of single women with children on the brink of homelessness, and the Neediest Cases fund helps many of them. Caseworker Laurel Sapp testifies to seeing Neediest Cases rescue a single woman with five children from homelessness as the woman raced against what Sapp calls "the five-year welfare clock." She explained that people receiving Families First benefits, including food stamps, financial assistance and child care, have five years before it ends. 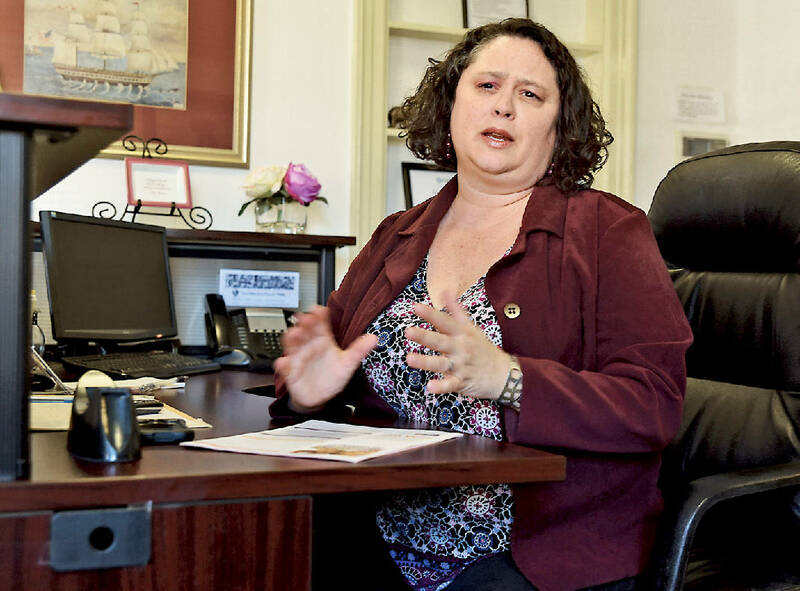 Most women work desperately to stabilize their lives before their assistance runs out, but the woman with five children had a hard time finding affordable housing with her minimum-wage job, Sapp said. Then the Chattanooga Housing Authority pulled her number in a lottery for a housing voucher. Having the voucher meant the federal government would pay the larger portion of her rent and the woman would be responsible for paying only one-third of her income toward it. The problem, Sapp said, was she couldn't afford the deposit. Enter Neediest Cases with the money to pay it. The voucher and the deposit allowed the woman to move into an affordable home. Chattanooga Times Free Press Publisher Adolph Ochs started the Neediest Cases Fund in 1914 to enable readers to help local residents in need of financial assistance. The fund is intended to be a means of last resort for people who cannot find the resources they need anywhere else. It has helped a veteran get transportation for his special-needs children, paid the rent for a couple who lost their belongings in a house fire and bought new teeth for a domestic violence survivor after hers had been knocked out. "They were really struggling and some didn't have housing or relatives to help them," said Sapp, a Family Focused Solutions Counselor at the Partnership for Families, Children and Adults. Neediest Cases has helped more than 170 people and families this year from January to the end of October, according to the United Way that partners with the Chattanooga Times Free Press to manage the fund. Stories highlighting the needs of local residents have generated some $68,000 from donors. The money is used to address local needs. Paula Smith, who works with husband Joe in the YCAP program, also assists low-income residents struggling to make ends meet. She said she refers someone to Neediest Cases at least once a quarter. "Somebody is going to come in here next month and say we need help paying our electric bill because they spent all of their money on Christmas," she said. "That's just the way it goes." Smith said she's now helping a grandmother who had to move in with her daughter after having back surgery. The grandmother worked in home health care, where she did some lifting, and now is unable to do her job. The woman is seeking housing assistance. Neediest Cases "just addresses the need that is there," Smith said. "Chattanooga has got a lot of people who really need help and are struggling."